This property offers dorms and private vintage-style rooms with wooden furniture. It has bathrooms outside the rooms for men and women. Snail Bed & Breakfast offers tour service to the tourist sights of the city and state, massages and temazcal. The reception is available 24 hours everyday. The establishment is very close to the Ecclesiastical Pedestrian Street and Santo Domingo Temple, as well as the Museum of the Highlands of Chiapas and the Mayan World Textile Center and also several restaurants serving local and international cuisine. San Cristóbal de las Casas is a great option for travelers interested in the living cultures, history, shopping (textiles, jewelry and handicrafts) and architecture. 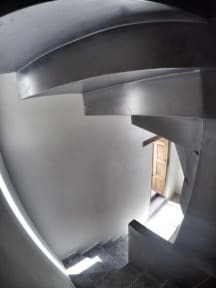 In addition, the rating of this accommodation is one of the best in its kind in San Cristobal de las Casas for its cleanliness, comfort, attention and location. 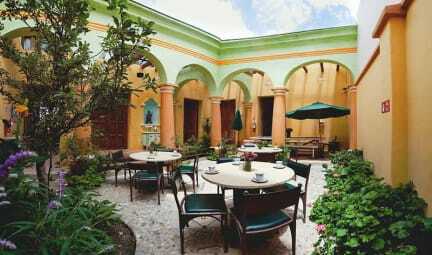 Snail Bed & Breakfast also has an excellent value for money price in San Cristobal de las Casas. Costumers get the best out of their money compared with other accommodations in the same city. Very clean! Had a private room. Comfortable but it gets very hot during the day because it is on the top floor. Shower and bathroom were very clean and spacious. Great location close to the main square. A nice hostel with good location, but not in the center (a few blocks away). Was very clean and with great atmosphere. Good people and a very rich breakfast. The staff was very nice and helpfull about stuff to do in san cristobal area. We enjoyed our stay here. We arrived early and wasn’t expecting to get our beds until later but we got them as soon as we finished the paperwork! Close to everything you might wanna see in the city and the staff was really helpful with whatever question you might have! All and all a really nice place. Good, modern dorms with comfy beds (and blankets! ), but i wouldn't said we received a dorm for 6 people (as was booked) but rather a bigger/shared area for 16 or more person... So if you come late, you may wake up other guests... Breakfasts rather poor and common place is small/ partially outside, what can be disadvantage when taking into account that in SCdlC can be cold. Helpful and friendly staff but hardly speaking english. Not sure if it was just my bunk (#11) but it was very squeaky. bed was not the best. Also if you are over 6 feet tall you will not fit in the cubby beds, my feet had to hang out and I had to sleep at an angle. Not very comfortable for a tall person as there is a head and foot board. It's cold, so ask for an extra blanket. Location is great. Easy walk from ADO. Staff is friendly. Did not get a towel.